"No effect in the world comes without a cause; understand it and you don't need to try"
Nessun effetto è in natura sanza ragione; intendi la ragione e non ti bisogna sperienzia"
This phrase represents the starting point of the scientific approach to the science and technology. 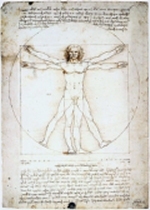 Leonardo was the really first engineer of the modern age, intending the multi disciplinary approach as the key for the knowledge of complex phenomena. This inspiration pass through our minds toward recent advances of electronics and computer science. Our idea is that only with an integrated and multi disciplinary approach it is possible to solve with success complex problems. The high level of integration between hardware and software system is the key of success for the production systems and even for the product itself.